The Indian Himalayas gives a countless opportunities to the adventure seeking trekkers from all around the world, with its myriad landscapes and challenging treks. Rupin Pass Trek: It is one of the most places for trekking experience for those who are looking for a challenging trekking situated at an altitude of 15,000 ft above sea level in the state of Himachal Pradesh. It is takes eight days to complete the trip starting from a small hamlet in Uttarkashi, named Dhaula and ends at the city of Sangla in Baspa Valley of Himachal Pradesh. Travelers can also take amusement of vast expanse of green fields along the way. There are two trails leading to Rupin Pass in which one is through Gosangu, the last road head of the state and other one is from Naitwar village in Uttarakhand, which can be reached from Dehradun through Dhaula. Goechala Trek: A splendid trek situated at the height of about 16,000 ft above sea level is starts from Yuksom and passes through Sachen pass. It presents the magnificent sight of Mountain Kabru and Kanchenjunga. Goechala pass is the uppermost peak where travelers can reach in the Himalayan mountain range in state of Sikkim. From the top, you can take a panoramic view of eastern face of majestic Mount Kanchenjunga, the third highest mountain in world. 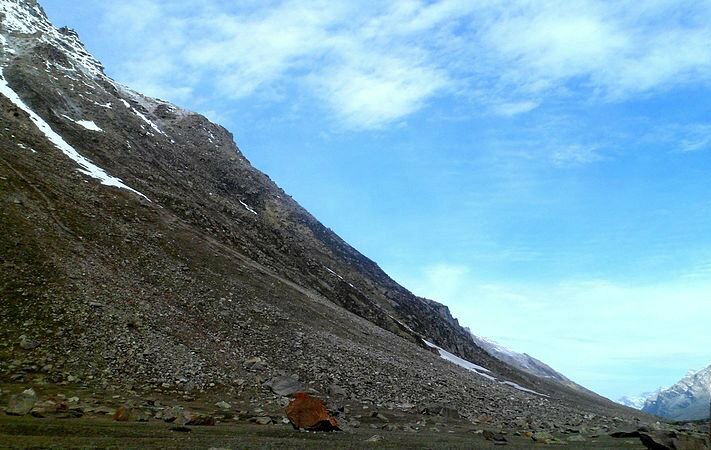 Pin Parvati Pass Trek: A top-most coveted trans Himalayan trekking sites in India at an elevation of 17,000 ft above sea level connecting lush green Kullu valley to barren and rain shed Spiti region over Pin Parvati pass in Himachal. It is a very difficult trek due to glaciers in Parvati Valley in Kullu and Pin Valley in Spiti. This trekking site is perfect for the thrill seeking trekkers who are looking for Trekking in Manali. It’s a eleven days trekking site starting from Kullu to Rudranath, famous for god Shiva temple made of natural rocks and you can explore a lot of things ranging from dense alpine forests to vast grazing lands, vivid flowers to vast glaciers and lush green fields to pristine white snow filled landscape. Travelers can also get rejoice by seeing Himalayan brown bears in the western Himalayan region. This trip ends with nine hour long drive from Kaza to Manali. Stok Kangri Trek: A challenging and thrilling trek at a height of 20,000 ft on Stok Kangri peak in Leh. It is highest peak of Himalayan Stok ranges and difficult to trekking because of its great height. This trek takes nine days to complete and its starts from and ends at Leh. Bagini Glacier Trek: An adventurous and thrilling trek located in Garhwal at a height of 14,800 ft. Trekkers discovers natural splendor and magnificence of the snow capped peaks of Doonagiri, Changa Banga and Kalanka. The purity and tranquility of this treks attracts lots of tourists. Duration of Bagini Glacier Trek is eight days starts at holy city of Haridwar. En-route see Jumma, Ruing and Dronagiri village to reach Changa Banga Base camp. The trekker will experience the deep, dark and dense forests. Discover lush green pastures and snow peaks from Dronagiri to Changa Banga base camp. Roopkund Trek: A scenic trek in Garhwal Mountains of Chamoli at a height of 16,000 feet. Roopkund is a prominent high and full of Glaciers Lake in Uttarakhand. Roopkund Lake is known as mystery and skeletal lake. This trek offers magnificent views lakes, forests, green pastures and snow white Mountains. Roopkund Trek is an eight day trek starts from and ends at Lohajung. Travelers felt very cold at the lake because of the glaciers. Tarsar Marsar Trek: A beautiful trek in Kashmir Kashmir Valley at an altitude of 7,958 ft. This trek is comprises of two lake two scenic lakes surrounded by peaks of the Kolahi Mountains. These two lakes are flow in opposite directions and separated by a mountain and known for their almond shape which makes its magnificent beauty and serenity. The Tarsar Marsar Lake Trek takes seven days to complete the journey starting from Srinagar and finishes at Sumbal. Summer season is most pleasant time because of beautiful flowers are blossomed on the surrounding alpine trees. Discover natural bauty with vast meadows, sweet flowers and stunning walnut trees and apple orchards along the journey. Hampta Pass Trek: Located at Manali at a height of about 14,000 ft. Travelers can enjoy the grand natural beauty, lush green pastures, waterfalls, vast stretch of pristine white snow and coniferous forests. The changing climatic conditions and scenery offers a great opportunity to picturing various forms of nature. This trek starts from Manali and ends at Chandrataal. Kuari Pass Trek: Himalayan high mountains pass in the Garhwal Mountains of Uttarakhand. The Kuari Pass trek is known as the Curzon Trail and Kuari means doorway. Take a fantastic view of the Nanda Devi sactuary. The name of the trek is taken from bold adventurers and mountaineers as Lord Curzon, Eric Shipton and Bill Tilman. En-route explore thriving green fields, isolated villages and forests. Gohna Tal Lake is one of the delights on the route. Kuari Pass Trek starts from Auli and end at Chefna or vice-versa.